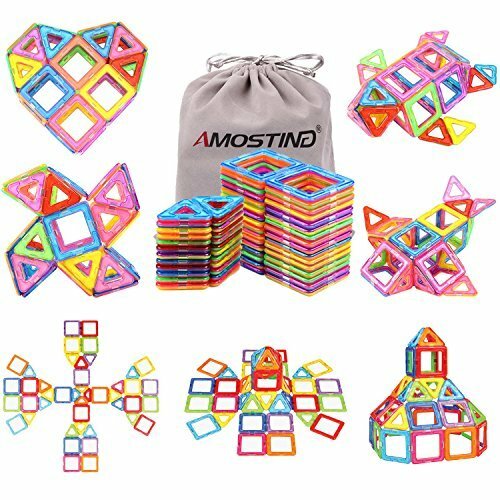 【High quality & Affordable】: Totally 56pcs: including 24*triangle, 32*quadrangle, 1*booklet, 1*Storage Bag, 2 different random colors on each side of each magnetic tile. More pieces in box with lower price. Compatible with other similar-size tiles. 【Easy Clean Up】: Super easy to clean them up since magnet sticks together. Comes with a bonus storage bag to store all those pieces.